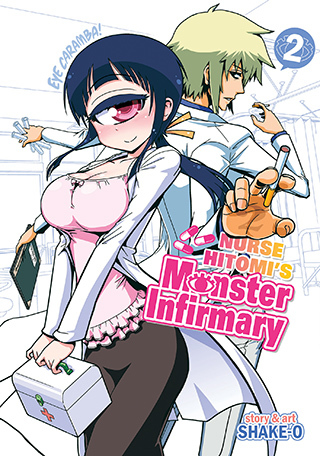 It’s not easy working at a school where the students are literally monsters, but Nurse Hitomi is always there for anyone in need. Whether it’s a winged student who just can’t keep her feet on the ground, a girl who eats everything she can get her hands on (including fellow students! ), or a boy who has grown breasts overnight, Hitomi watches over them all with a caring eye. No matter what the problem, Nurse Hitomi is eager to help!